UFC 212 is home to some of the UFC most talented fighters, and here are the numbers to back it up. 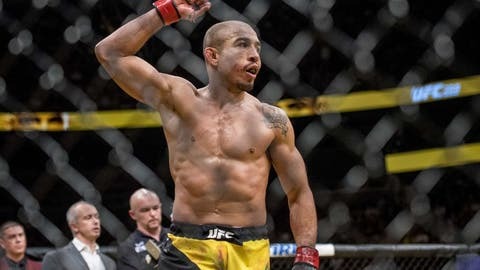 Jose Aldo has the most wins in UFC/WEC featherweight history at 16. That includes victories over the likes of Chad Mendes, twice, Frankie Edgar, twice, Kenny Florian, Mark Hominick and Urijah Faber. In fact, before Aldo’s loss to Conor McGregor at UFC 194 in 2015, the Brazilian superstar hadn’t lost in over a decade. 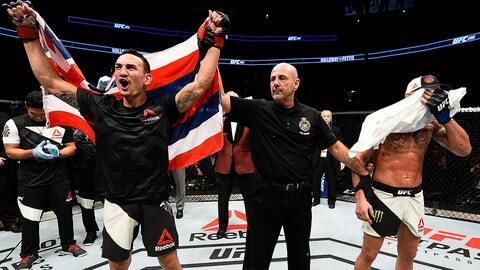 Despite being five years younger than Aldo, 25-year-old Max Holloway is right on his tail when it comes to career wins. The Hawaiian has racked up 12 victories in just five years, with wins against Cub Swanson, Charles Oliveira, Jeremy Stephens and Ricardo Lamas along the way. Jose Aldo may be known more for his speed than his power but the featherweight champ still has a history of putting opponents on their butts. Aldo has scored eight knockdowns during his UFC/WEC career, the most in the history of the division. 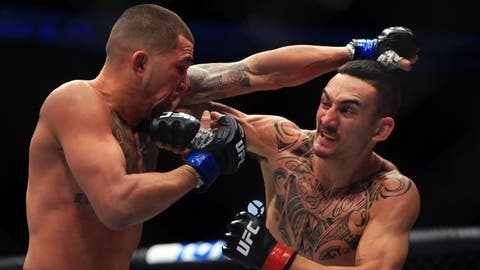 Max Holloway’s activity and accuracy in the standup has helped him become one of the best strikers the featherweight division has ever seen. He currently has the second highest striking rate in featherweight history as he lands 5.41 significant strikes per minute. The only man who lands at a higher rate? Former featherweight champion Conor McGregor. The number of takedowns Aldo’s opponents have landed against him in his 17 UFC/WEC fights. Aldo has the highest takedown defense percentage in UFC/WEC history as he’s successfully defended an incredible 92.3 percent of his opponent’s takedown attempts. 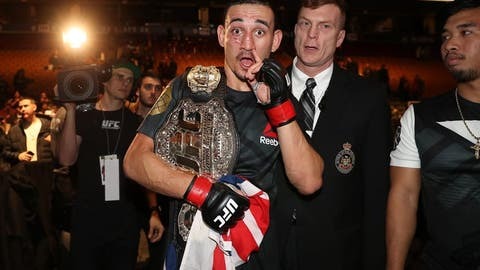 Max Holloway has won a ridiculous 10 straight fights, good for the third longest active streak (behind Jon Jones and Demetrious Johnson) and the sixth-longest streak of all time. Holloway joins Jones, Johnson, Georges St-Pierre, Royce Gracie and Anderson Silva as the only fighters to win 10 consecutive fights. Pretty good company for a 25-year-old. 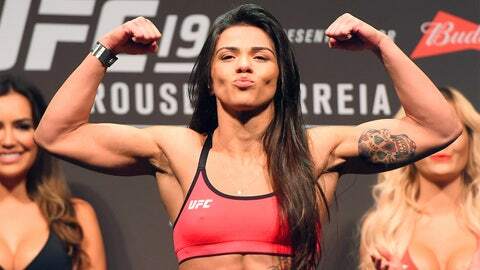 Claudia Gadelha’s wrestling is downright dominant for her division, and she’s proven it by posting at least four takedowns in each of her five UFC fights. 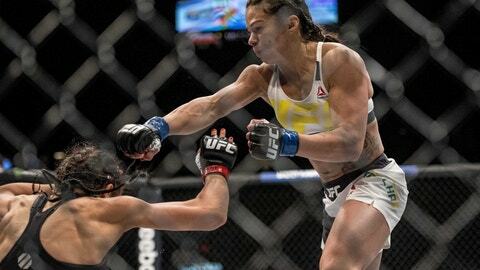 She scored her career high of seven against Jedrzejczyk and nearly matched that in her last fight, where she finished with six takedowns. Vitor Belfort is one of the deadliest knockout artist in UFC history and that’s evident by his amazingly short average fight time. The Brazilian middleweight, who will be fighting for the very last time on Saturday night, averages just four minutes and two seconds in the Octagon, the shortest of any active middleweight. 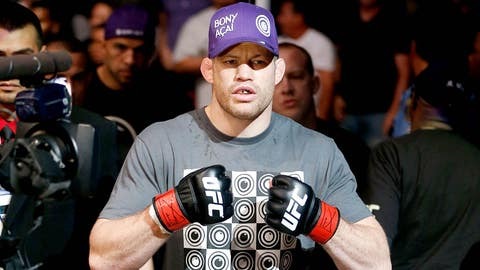 Belfort’s opponent on Saturday night, Nate Marquardt, is a heavy-handed wrestler who can get takedowns virtually at will. Marquardt has successfully landed 32 takedowns, good for the second-most among active middleweights. The combined finishing rate between Ouwale Bamgbose and UFC 212 opponent Paulo Borrachinha. 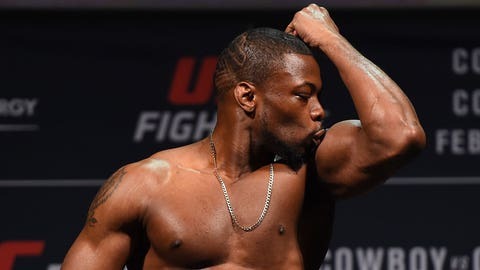 Bamgbose has finished all six of his professional wins by knockout -- all in the first round -- while Borrachinha has one win by submission and eight by KO, including a first-round finish of Garreth McLellan in his UFC debut last March. 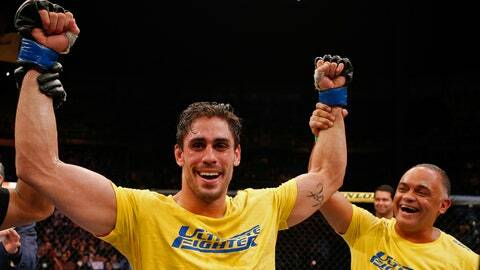 Antonio Carlos Junior has fought in three different weight classes in the UFC. He began as a heavyweight competing on the third season of The Ultimate Fighter: Brazil before dropping to light heavyweight for his first fight in the promotion. He’s now settled down at middleweight, where he’ll face Eric Spicely on Saturday night. 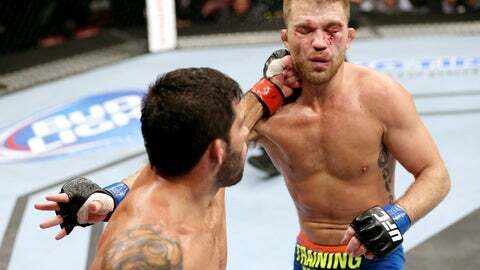 Bantamweight Raphael Assuncao has built a 461-294 striking differential in significant strikes over his last nine fights. Over that span, he’s lost just one while only being outstruck twice. Number of consecutive wins Marlon Moraes reeled off, including five title defenses, before moving from World Series of Fighting to the UFC. Moraes gets a chance to immediately crack the top 5 if he can score a win over Raphael Assuncao in Brazil. 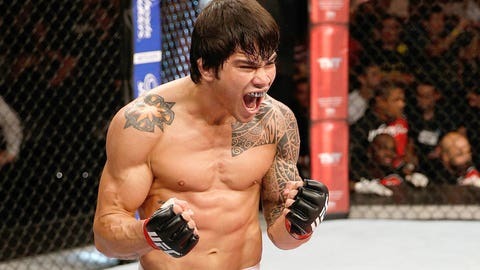 The number of times Erick Silva has gone to the judges in victory, as he’s managed to score a knockout or submission in all seven of his UFC wins.